Why are they important and how can they be easily incorporated into family meals? In this post, I’ll explore these questions as we build a case to support adding whole grains to the family menu. Whole grains provide a base to the wonderful seasonal vegetables that we can enjoy in the spring and summer. They can be added to hearty soups or incorporated into healthy casseroles in the fall and winter. They are also very economical, which is always a plus. So let’s learn more about them! The germ will, upon germination and sprouting, give rise to the first tiny leaves and rootlets; the endosperm provides the starchy bulk of the grain which nourishes the seedling during its early growth; the bran is the tough outer coating that protects the grain. Each part contains different vitamins, minerals, oils and nutrients. So when grains are processed, removing parts of the original grain such as the bran and the germ, the nutrients that are associated with these parts are lost. Because of the loss in nutrients during the milling and refining process, flours are “enriched” by manufacturers. The “enrichment” process usually involves adding back in thiamin, riboflavin, niacin, and iron. However, refined grains still don’t have as many nutrients as whole grains do. White flour contains, for example, less than 1/3 of the pyridoxine and folic acid contained in whole wheat flour. Another example is vitamin E, which is destroyed by bleaching; white flour contains as little as 14% of the vitamin E in whole wheat flour. (1) So it is important to look for whole grains instead of processed grains to ensure maximum nutritional value from your grain intake. 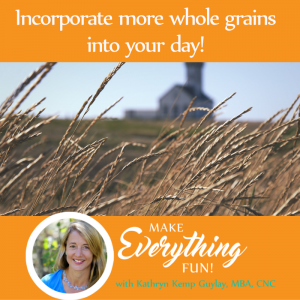 What are Some Different Types of Whole Grains? Throughout the world, there is a wide variety of grains cultivated. Each culture and climate has its favorites. In the US some of the most popular grains include rice, wheat, corn, and oats. My own personal favorites are quinoa, barley, and millet. Some more exotic options include amaranth, faro, hominy, Kamut, rye, sorghum, spelt, teff, triticale, and wheat berries. Why Should Grains Be Incorporated Into the Family Menu? Besides being extremely economical, grains have a great nutrition profile. Here is a chart created by Heather Sullivan, R.D. (2). How Can Grains Be Easily Incorporated Into Family Meals? 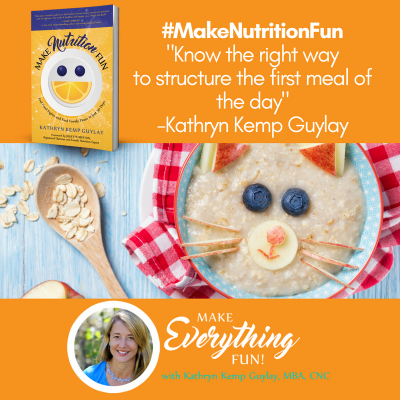 When I want to plan a meal quickly and simply, I avoid cookbooks, complex recipes, and long shopping lists and instead think about a meal in terms of a recipe framework. 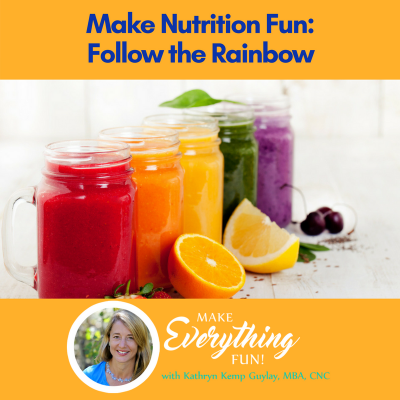 Recipe frameworks give you a basic understanding of what elements you might like to combine (a grain with a protein source, some vegetables, healthy fat, and seasonings, for example). They allow you to make the decisions about what goes into your dish based on your families’ own food preferences and tastes as well as what you have on hand in your fridge, freezer, and pantry. Recipe frameworks make meal planning flexible, simple and easy. Here is the Grain Recipe Framework for Breakfasts. Here is the Grain Recipe Framework for Lunches/ Dinners. Note: You’ll notice that we’ve suggested using a rice cooker to cook your grains because it is so easy to prepare them this way. You can also cook grains the conventional way using a pan on the stovetop. 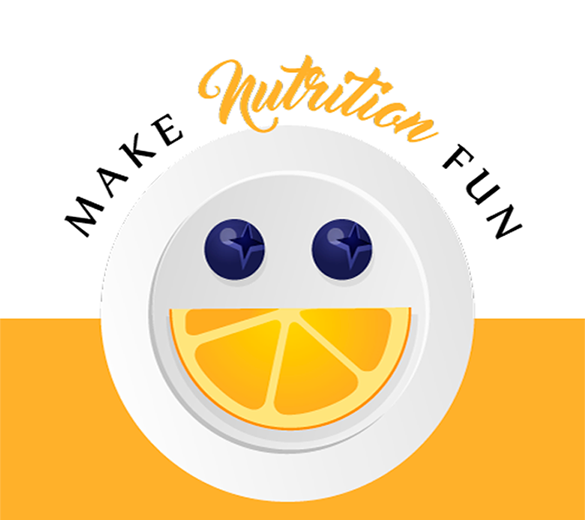 Recipes: Search the Make Nutrition Fun database of recipes or see the Nurture recipes (for English and Spanish). To further test the concept of the Grain Recipe Framework, I enlisted the help of Nurture board members Beth Busch and Colleen Scopacasa. 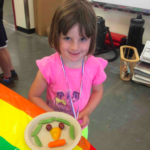 They each took the Grain Recipe Frameworks and invented various meals for their families. I also tried some of my own variations on Fiesta Casserole (which has a southwestern or Mexican flare) and tried some other versions based on different international flavorings and ingredients. See below for charts of our explorations at the meal table– and have fun with your own grain adventures! 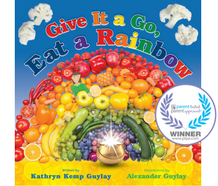 Thanks, Beth and Colleen for your great work on these “whole grain meal adventures” with your families! * Quinoa was called “the mother grain” by the ancient Incas. Disclaimer: This column is for information only, and no part of its contents should be construed as medical advice, diagnosis, recommendation or endorsement by the author. You should always ask your physician for his or her recommendation before starting any new health-related activity.